Falling in love is easy, being in love is challenging and living with love is difficult. 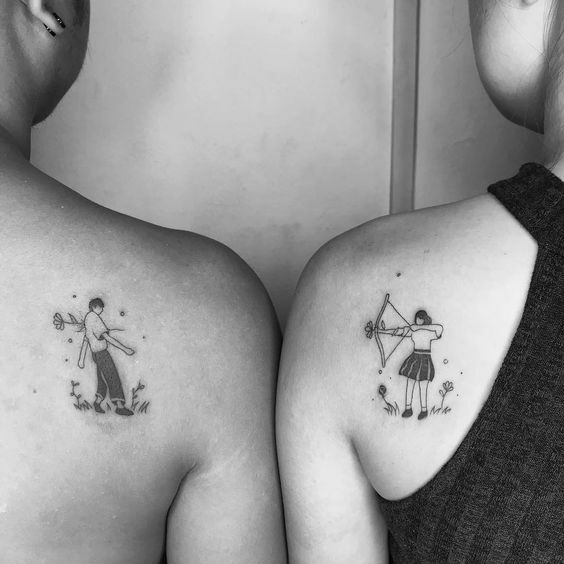 In the time when everything changes, getting a couple tattoo is a serious commitment. Tattoos are probably stronger than a wedding ring because it just stays there for the rest of our lives. They are a permanent symbol of your relationship. No matter where you are, where you go, even if you are in a long distance relationship, you will always have something that reminds you of each other. If you want some ink-spirations, you are going to love this post. 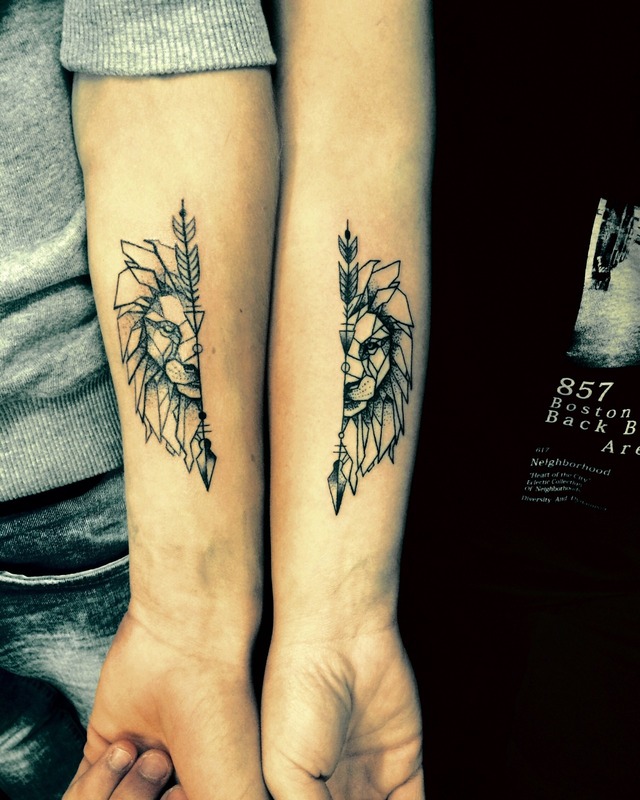 Here are 39 unique couple tattoos that look perfect both separately and together. It takes great courage to make a permanent mark on the skin. Same with devoting yourself in a relationship. 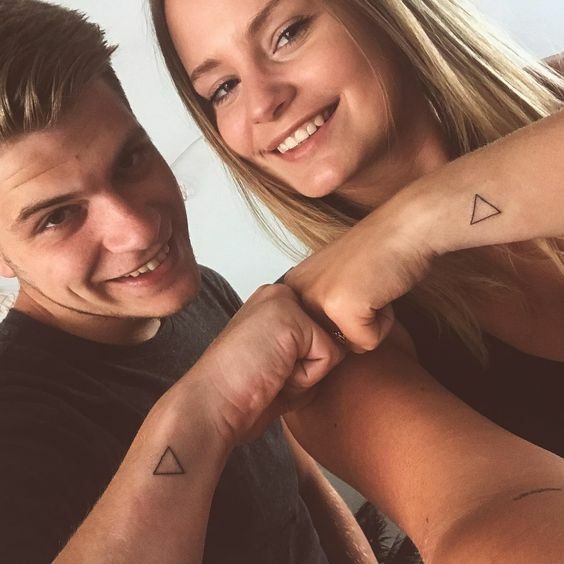 This matching couple tattoo indicates the strong mutual support you have for each other. And it’s also another way of saying “you make me complete”. 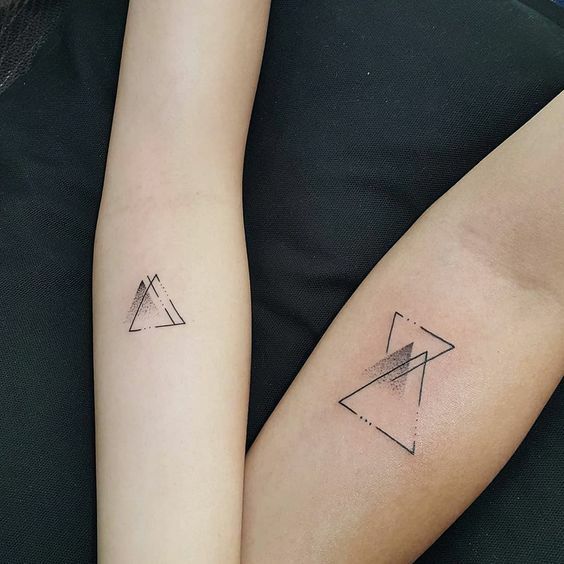 A common interest makes a great theme for your matching tattoos. 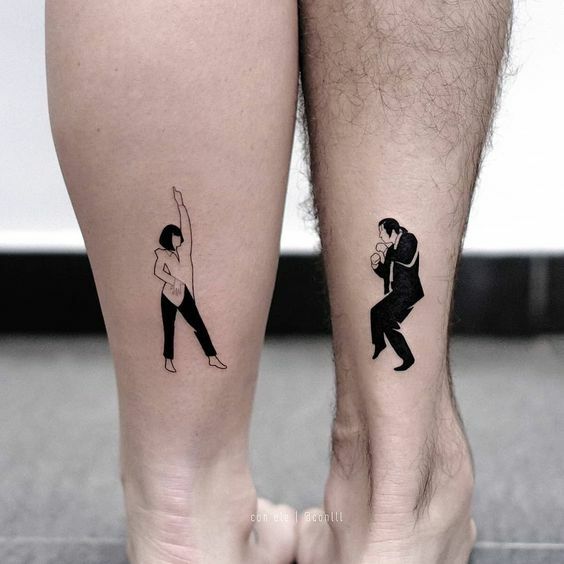 If you are both fan of the classic movie Pulp Fiction, consider these cute tattoos replicating the Mia and Vincent dance as your next ink. Is there any better way of saying “you give me butterflies”? 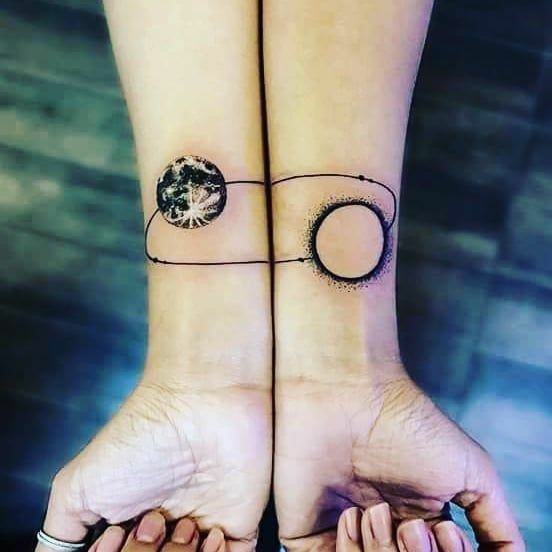 This is the perfect tattoo for long distance couples because it makes each hand-in-hand moment something even more beautiful. 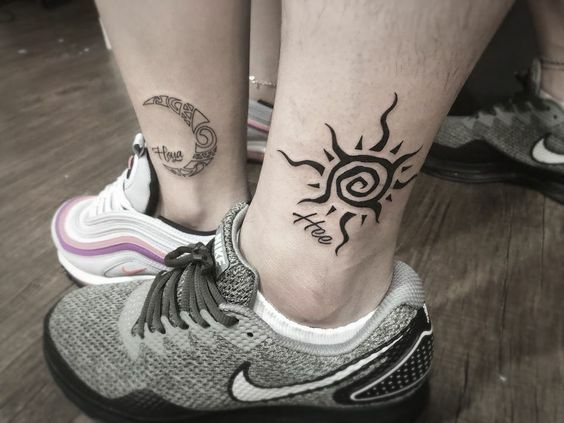 Number tattoos are great ideas for new couples. The number can the date of your first date night, first kiss or engagement. And none of you will forget about anniversaries any more. Consider Hamsa if you are looking for a tattoo with meaning. It symbolizes the energy flows in the body from the 5 chakras. In some cultures however, it represents blessing and strength. Obsessed with Star Wars? 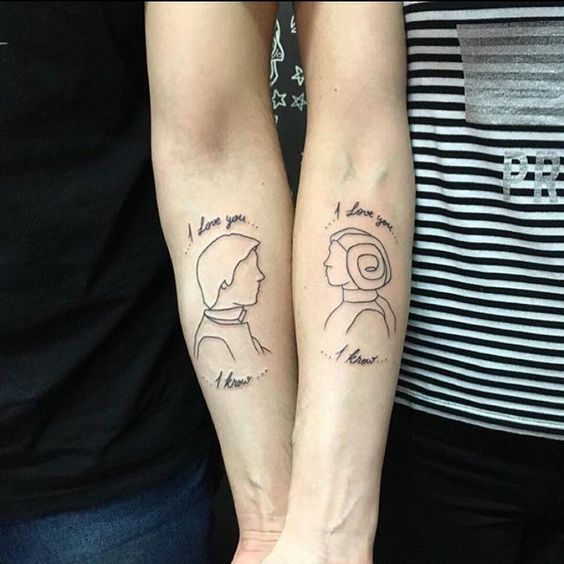 Get Han Solo and Princess Leia​ inked is the best way to showcase the craze and unwavering love for each other. Love is like flowers, it takes time to nourish so it can blossom. 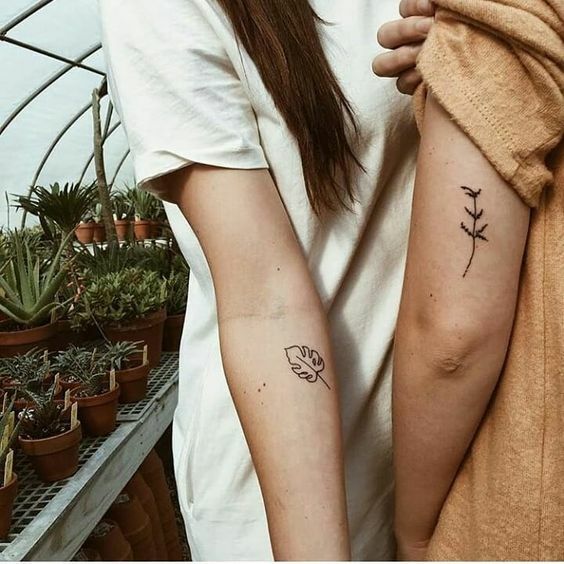 These tattoos only make sense when they are connected with each other, representing a bond that should never be broken. If no words can perfectly describe your connection, a tattoo may do the job. Whatever looks good, watercolor makes it look even better. Forget about the corny quote tattoo, this is the right way to say “I will love you till the day I die”. 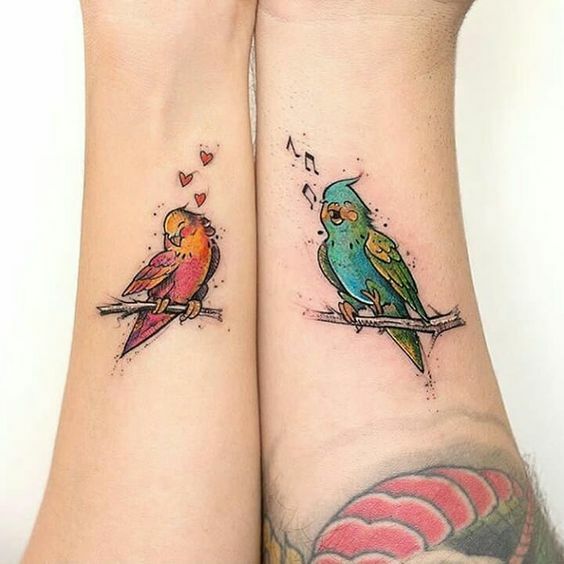 Couple tattoos are not always dark-themed or screaming “couple goal”. They can be just fun and cute as Minions.